Scott enjoys working with business owners as well as individuals and families. He works diligently to cultivate client relationships by providing top notch service while instilling a sense of trust and respect. He works with each client individually to develop a focused financial strategy to fit their specific needs. In 2008, Scott was presented with the New Associate of the Year Award* from Renaissance Financial and that same year Securian Financial Services recognized him as a Top New Advisor*. Scott is a member of the MDRT and has continued to excel by earning his CERTIFIED FINANCIAL PLANNER™ (CFP) certification in 2012 and Chartered Financial Consultant (ChFC) certification in 2014 from the American College. In 2015, Scott became a Renaissance Financial Shareholder, which proves his commitment to both the firm and his clients. In his spare time, Scott stays active in the community. He is a member of the Forest Park Rotary Club and the Kirkwood Optimist Club. 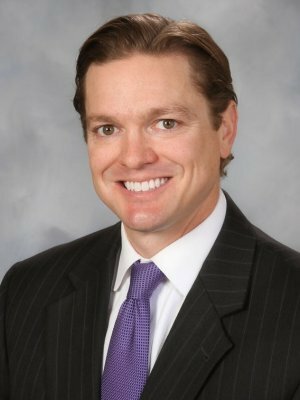 Scott obtained his bachelor’s degree in business administration with an emphasis in finance as well as a minor in economics from Westminster College. Originally from the St. Louis area, Scott and his wife, Holly currently reside in Frontenac with their sons, Dalton and Graham.